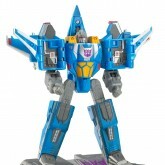 THUNDERCRACKER was so named because of his unique sonic abilities. 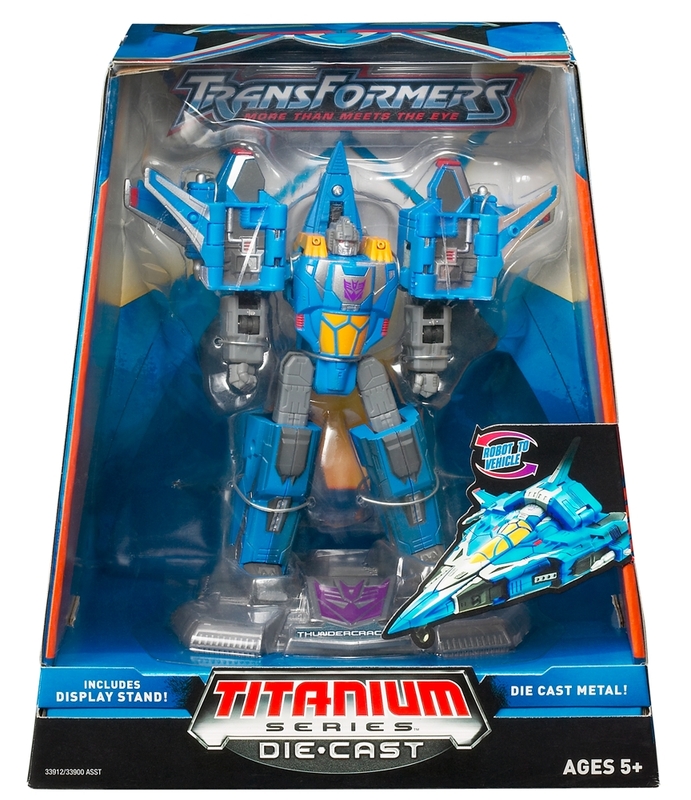 Even at low altitudes and speeds, he is able to force super-compressed air pulses through his engine intakes, giving him a burst of acceleration and generating a focused sonic boom that can shatter reinforced glass and deafen unprotected audio receptors. 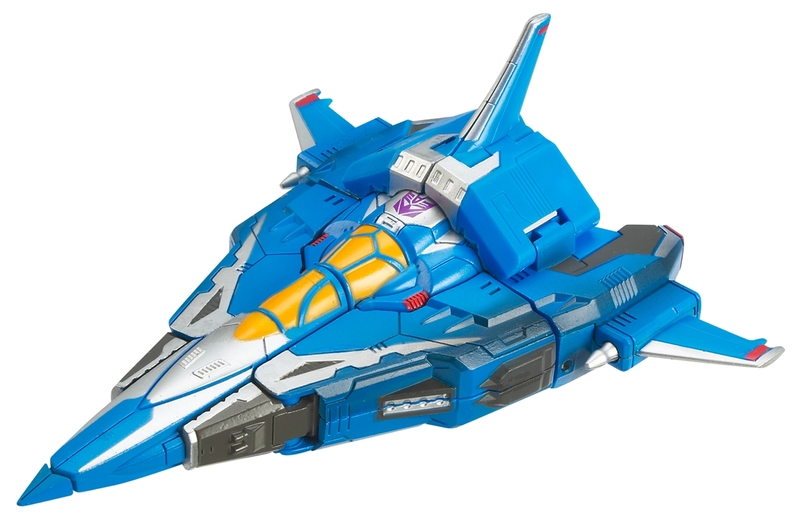 He is further able to modulate his sonic booms to affect the sensory response processors of enemy targets, causing panic and fear. 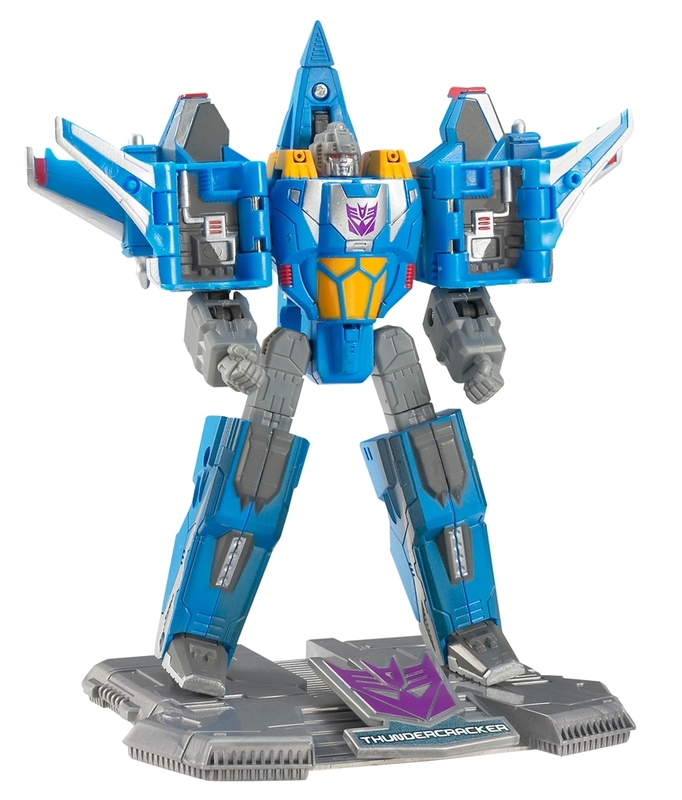 Recruited to the DECEPTICON cause by MEGATRON himself and assigned to the elite Seeker squadron under STARSCREAM, THUNDERCRACKER proved himself to be a deadly and effective warrior, both on CYBERTRON and Earth. 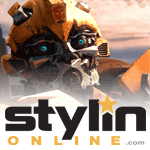 Working alongside fellow Seeker SKYWARP, he attacked and destroyed the AUTOBOT stronghold at Altihex, and nearly succeeded in destroying Protihex as well. 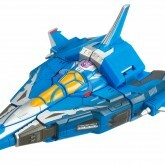 Thundercracker (War Within) toy information. 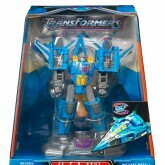 Thundercracker (War Within) parts information.